If you are offended by me calling California a Communist state then have a sit in, a demonstration, or better yet a riot. Or... you can try to do something about this reality. You see in my opinion anyone or anything that is opposed to the Constitution of the United States of America is a Communist or worse. Eleven pending gun bills that will eventually turn California into a Communist state. the California state legislature and if they all manage to pass, California could literally turn into a state of autocratic tyranny. The following updates are from the NRA-ILA on the pending bills. If you’re a California resident and a real Constitutional American, now is absolutely the last time you may be able to act. It’s a sad state of affairs that California residents are forced to be on the defensive to protect what limited Constitutional rights they still have remaining. Assembly Bill 180 (Bonta) repeals state firearms preemption in Oakland by allowing that city to enact ordinances that are more restrictive than state laws relating to registration or licensing of firearms. This anti-gun bill is on its final reading in the state Senate and could be considered at anytime. It is important to call AND e-mail yourstate Senator urging him or her to OPPOSE AB 180. THE BOTTOM LINE: It was June 28 when I last wrote an article about the Communist state of California and their agenda of surreptitious and incremental gun confiscation. You can read it here. 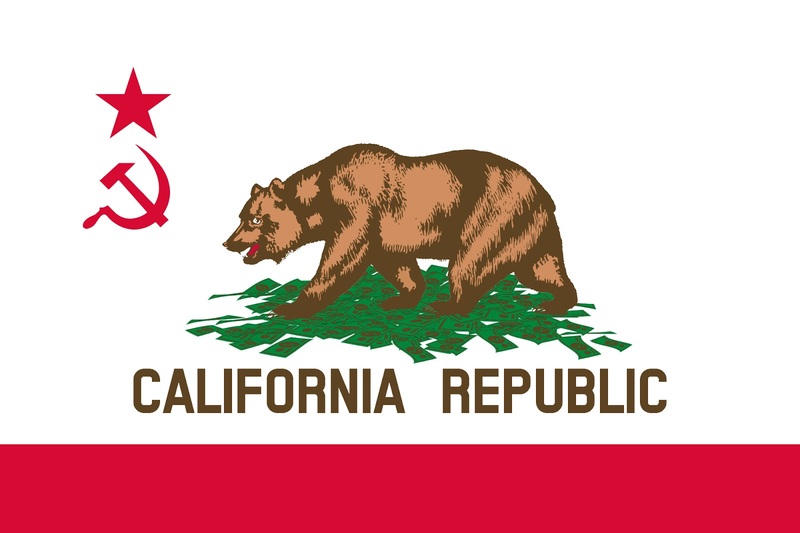 The Communists in Sacramento are bent on turning California into a so-called GUN FREE ZONE (which is communist speak for CITIZEN GUN FREE ZONE) so that every crazy and every criminal who won’t by the way obey any anti- gun laws, (that’s why they’re called criminals) and turn the state into a criminal war zone or worse, a slaughterhouse if all the American constitutional patriots are naive enough to obey all these illegal unconstitutional laws. These laws either make criminals out of otherwise law abiding citizens or it leaves them helpless against the coming onslaught of tyranny and mayhem that will be created by martial law and runaway lawlessness. As you can see it’s not for hunting as the Communists try to read into it my friend, although one might use a gun for hunting. One does not have to read anything into the law to discover what it’s really for. It’s “necessary to the security of a free State,”. And that my friend is why the Communist America haters, want to get rid of every fire arm that is in the hands of all free American citizens. If this isn’t an infringement of Constitutional law, then I guess I don’t know what the word means, but I do. Anyone who writes unconstitutional law obviously doesn’t care what it means. And that my friend is nearly every state government in the country. And that makes my point that California is a Communist State. TO DISTROY A FREE STATE. And it will! Just look what is happening in the city of Chicago now the murder capital of America. If you want to save what is left of your freedom and rights then you can write your representative here urging them to OPPOSE the anti-gun bills listed above. Please feel free to also copy and paste all of the bill information to ensure your state legislators know which bills to OPPOSE. Once this right is gone you will lose them all, moreover, you will never get them back again.